Research Interests: Using evidence-based interventions that are grounded in Achievement Goal Theory to promote motor skills acquistion, physical activity, and physical health & development in preschool- and school- age children. 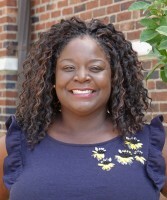 Research Interests: Understanding how movement environments promote or inhibit the acquisition of motor skills in young children through examining children's engagement in behaviors related to learning. Research Interests: Supporting children to develop the knowledge, skills, and desire to be physically active and lead a healthy lifestyle as well as the effects of various psychosocial factors (e.g., grit, self-efficacy, etc.) on physical activity. Research Interests: The effects of yoga on physical health, motor development, and motor performance in children with and without disabilities and how to translate this knowledge into practice. Indica joined the CMAH Lab as the lab coordinator in August 2017 and is pursuing a Masters of Science degree in the Movement Science program at U of M. She moved to Ann Arbor from California, and she looks forward to exploring more of Ann Arbor and the Michigan area. Katherine began working in the CMAH Lab as an undergraduate research assistant in 2016. She is excited to continue working in the lab as a Research Technician. Katherine will primarily assist with data collection during the 1st year of the PATH and SOBC National Institutes of Health projects. Her long-term career goal is to become a Physician Assistant. 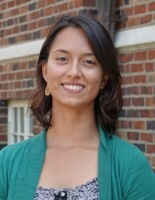 Marcia began working in the CMAH Lab in 2018. She is honored to be a member of the fantastic team of researchers working in the lab. 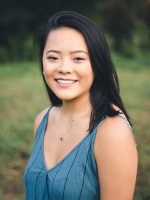 Emily began working with the CMAH lab in the fall of 2018 during her gap year after graduating from high school. She plans to start her undergraduate education at Harvard College next fall and looks forward to gaining research experience. In the future, she hopes to attend medical school to potentially enter a career in surgery. Sammi loves to run as well as learn about health and fitness. She has a passion for working with children and hopes to have a career in prosthetics. Emma's passion for children from working at Camp Michigania inspired her to join the CMAH lab. Once she graduates, she plans to use her skills from the lab to attend physician assistant school and specialize in dermatology. Dani has always enjoyed working with kids, which is one of the reasons the CMAH Lab sparked her interest. 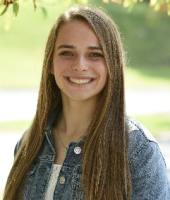 As a pre-physical therapy student, she understands the benefits of physical activity and would love to continue exploring and learning about human development. Jacob joined the CMAH Lab because he enjoys interacting with children and had a positive experience during the 2017 Study Abroad Australia trip working with Dr. Robinson and Kara Palmer. Anna is passionate about health and physical activity, and is about studying movement science as it applies to children. She is interested in developing her research skills to further explore the idea of a career in public health. Brooke has always been interested in pediatrics and feels the CMAH Lab is a perfect fit in combination with content from her Movement Science courses. Sarah loves working with kids and thinks learning about their motor development will help to better her understanding of movement science in a way she couldn't do in a traditional classroom setting. Working in the lab will also enrich her experience as an undergrad on a pre-physical therapy track. is excited to further her education through the CMAH lab by combining her interest in pediatrics and physical fitness. After graduating, she would like to become a physician assistant with a focus on pediatrics. Matt worked with the lab for 3 years and is pursuing a career as a Physician Assistant. Gaia worked with the lab for 3 years and will be attending medical school Fall 2018. Colleen worked with the lab for 3 years and is pursuing a career in physical therapy.